Garbage floats in the polluted Cunha canal which flows into the notoriously polluted Guanabara Bay, site of sailing events for the Rio 2016 Olympic Games, on July 29, 2015 in Rio de Janeiro, Brazil. The governing body of world sailing says it will start doing its own independent testing for viruses in Rio's Olympic waters after an Associated Press investigation showed a serious health risk to athletes competing in venues rife with raw sewage. "We're going to find someone who can do the testing for us that can safely cover what we need to know from a virus perspective as well as the bacteria perspective," Peter Sowrey, chief executive of the International Sailing Federation, said. "That's my plan." Sowrey said the AP investigation of water pollution in the Olympic city helped "wake us up again and put this back on the agenda." The sailing venue in Rio's Guanabara Bay is badly polluted, as is a separate venue for rowing and canoeing — the Rodrigo de Freitas lake — in central Rio. The AP investigation also showed venues for triathlon and open-water swimming off Copacabana Beach had high virus levels that pose a threat to athletes and tourists. Sowrey, who spoke from IOC meetings in Kuala Lumpur, Malaysia, took over a month ago as CEO of the Britain-based International Sailing Federation. His wife Alesandra is a native of Rio de Janeiro, and he has a 9-year-old daughter Marie. "I'm a father myself," Sowrey said. "I want to make sure that everyone who goes out in the water is as safe as possible and is given the right guidance and right security." The Associated Press analysis of water quality showed dangerously high levels of viruses and bacteria from sewage in venues where about 1,400 athletes will compete in water sports at the Rio Games, which open in a year — Aug. 5, 2016. Olympic organizers and the Brazilian government have tested only for bacteria to decide if the water is safe. But many experts say viruses are a far bigger problem and need to be monitored. In Rio, much of the waste and sewage goes untreated and runs down hillside ditches and streams into Olympic water venues that are littered with floating rubbish, household waste and even dead animals. In a statement to the AP, the World Health Organization said it has suggested the International Olympic Committee start monitoring for viruses at the Rio venues. "WHO has also advised the IOC to widen the scientific base of indicators to include viruses," the statement said. "The risk assessment should be revised accordingly, pending the results of further analysis." At the world swimming championships in Kazan, Russia, swimmers said they are worried about the situation in Rio. "The athletes and the athletes' commission have expressed their concern at the current problems with the quality of water, the cleanliness of the water," Vladimir Salnikov, a former Olympic gold-medal winner, said. "That will be put into a recommendation and people will pay attention to that. However, they can't influence things any other way." Shin Otsuka, an executive board member of the International Triathlon Union, said Friday his body was considering testing for viruses. "We know we are exposed to viruses, maybe to a health problem later," he said Friday in Rio. "But in my case, I have invested so much to prepare myself for this and I want this to happen because I can't recuperate this investment any other way other than competing and winning the points that I need to win." A triathlon test event was scheduled on Saturday despite the government's own report earlier in the week showing parts of Copacabana Beach were unfit for swimming. 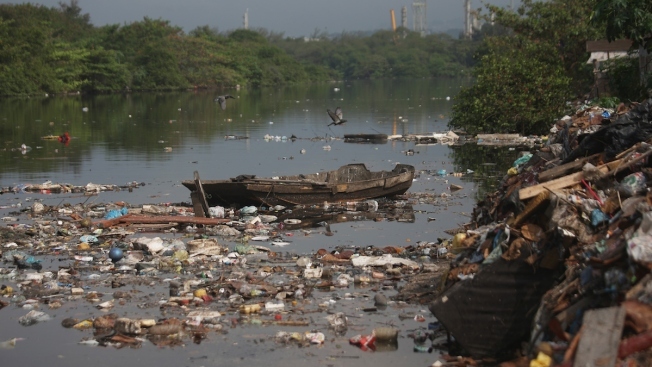 When Rio was awarded the Olympics in 2009, it promised cleaning its waters would be an Olympic legacy. But Rio Mayor Eduardo Paes has repeatedly acknowledged this will not be done, calling it a "lost opportunity." "We want to make sure we keep pressure on the organizing committee and the Brazilians to make sure they put some energy into cleaning up the bay," Sowrey said. "My job it to make sure something actually happens and it's not just talk, and someone is actually walking the walk." Sowrey said he received a call the other day from a woman whose child was participating in an Olympic sailing test event later this month in Rio's Guanabara Bay. "She wanted to be able to reassure her child that we're giving the right guidance," Sowrey said. Sowrey said a "backup plan" included sailing all the events outside Guanabara Bay in the open Atlantic. The ISAF has three courses there, and three inside the bay. He said it would be "'heartbreaking" to sail outside the bay and lose the postcard backdrop of Sugarloaf Mountain, which will be a focus of television coverage. In most Olympics, sailing is contested far from the main Olympic venues. In Rio, the sailors and rowers and canoeists get center stage — a chance to win fans and valuable sponsors. "We're not going to sacrifice health for the sake of good pictures and good TV," he said. "But I think the backdrop of Rio is an amazing backdrop and will do something for the sport of sailing."